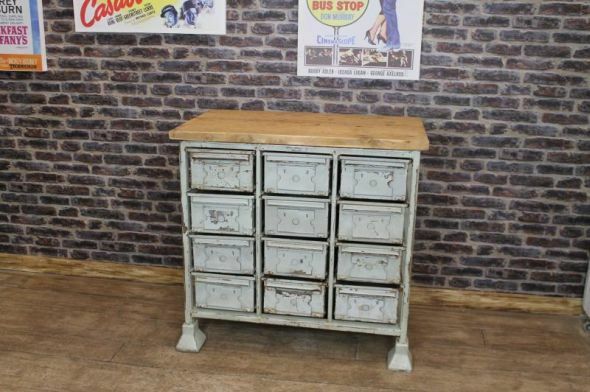 These vintage metal drawers are a great addition to our vintage and industrial range of furniture. This multi drawer steel unit features a solid reclaimed pine top and is ideal for any contemporary apartment or industrial style kitchen, restaurant or pub. An extremely heavy and durable piece of furniture with a unique appearance. Please view our other pieces of vintage and industrial furniture.